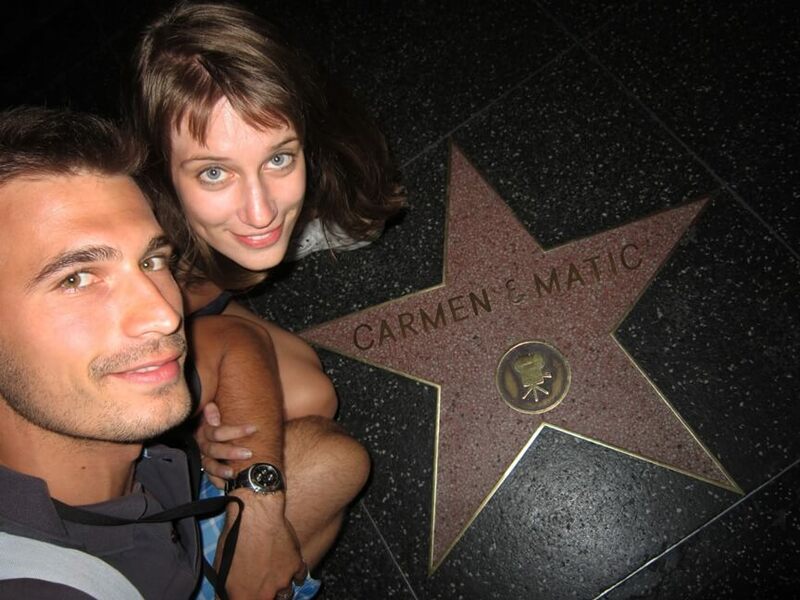 We are Carmen and Matic, a young married couple from Europe, Slovenia. Our story started when we were three years old and became neighbors and friends. After a long and complicated ‘The Notebook like’ childhood love story, we finally got together. Since we had spent more than a decade chasing each other, we soon decided to get married… to close the deal. 🙂 First the insanely romantic engagement, then the whole wedding planning process, and pretty soon we bumped into the big question: WHERE TO GO ON OUR HONEYMOON? We took a map, opened Google and started our research. We soon realized that it’s practically impossible to decide since our planet has so much beauty to offer. While dating we’ve already traveled to some European and Asian countries, so, this time, we decided to go to America. Mexico, Brazil, United States, Peru, Caribbean islands … So many amazing sights and so little time, if we consider the average honeymoon duration, which is eight days, and which is also the maximum duration we were able to afford, being students with almost no money whatsoever. Hum, it takes us about a day just to get there from Europe and another day to fly back home. And we’re down to six days. Nope. That won’t work – not for us. My husband-to-be noticed my slight dissatisfaction and asked me: “Baby, how long would you like our honeymoon to last if we had lots of money?” “Six months,” I answered without hesitation. “Six months it is. We’ll make it work!” he said. So there we were. A couple of college kids with big plans and no money. For the next two years, we were working our a**es off – three jobs, double shifts etc. People thought we went crazy. We weren’t crazy, we were just determined. The summer of 2013 finally arrived! The wedding was awesome – just our closest friends and family, who all know each other, having a blast. In July and August we arranged all the necessary documentation (passports, visas, the mandatory vaccines), we bought two backpacks and all the other equipment and well … packed our bags. First stop: New York, last stop: Rio de Janeiro and all the breathtaking places in between. It all ended way too soon, but somehow it never did. We came back home in March 2014, but home wasn’t home and we weren’t ourselves anymore. Suddenly everything was different. Yes, that’s the usual traveling side effect, I guess. 🙂 A restless creature was born inside of us and ever since we have felt this insane passion for traveling. It’s like a drug – we can’t get enough. Over the years we have traveled to some pretty incredible places, we’ve met great people, we’ve witnessed world’s amazing wildlife, we’ve eaten different kinds of food, we’ve learned about various cultures and we’ve definitely had our share of unforgettable experiences.